The objectives of NA2 are: training of project-internal and external scientists and technicians in various aspects of animal experimentation, including biosafety aspects, ethics and best practices, harmonisation and standardization of procedures, coordination of animal studies for validation and standardization studies performed under this project and facilitate ethical reflection and knowledge exchange on ethical, social and legal issues. the need to contain the infectious agent that is being studied. The members of the consortium represent the majority, if not all, of farm animal BL3 facilities across Europe. There is a large variation in the designs of these buildings, and also the work undertaken in them varies in detail. The comprehensive know-how held by the members of the consortium provides the capability for developing the competences of other members of the consortium and new users, and for transfer of technology. Development of new technologies for diagnostics of infectious animal diseases and collection of material for validation and standardization require well-defined studies, including experimental animal studies. and protocols and exchange existing ones between the members of the consortium, which will contribute to the best comparable approach of animal studies in the different countries. Other complex issues are biosafety, biosecurity and animal welfare. Working with animals in BL3/BL3+ containment facilities makes heavy demands on the knowledge of bio-security, experimental models of infectious diseases, and the impact on animal welfare caused by these diseases. Animal welfare is of great concern to the public as well as for animal disease researchers. 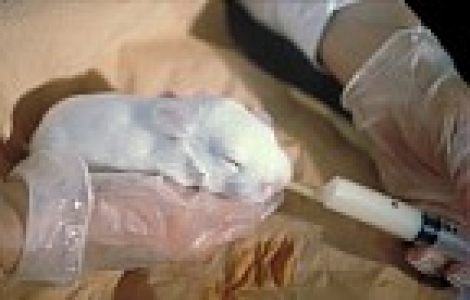 Although implementation of animal experiments is regulated by national legislation, the conditions for carrying out experiments vary considerably from country to country. Therefore, the consortium will joint efforts to improve the standardization of the conditions for animal experiments. practical approaches to animal disease questions, procedures and protocols and animal welfare issues in experimental settings become highly comparable.